The Cleveland Cavaliers have seen a rather bumpy NBA existence that was further compounded when their hometown superstar left for greener pastures. Now that LeBron James has returned to Cleveland, the team is once again one of the most popular teams in the NBA. 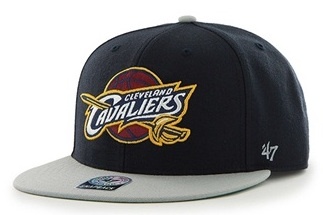 The following guide covers the top gift ideas for a fan or collector of the Cleveland Cavaliers. 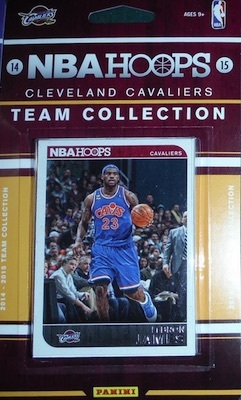 While this article is focused solely on gifts, collectors who are looking for more detailed information should check out our complete Cleveland Cavaliers Collecting Guide. The list below features 20 gift suggestions that cover a wide variety of options and prices points. That is intended to allow shoppers of all budgets to identify multiple items in their price range. 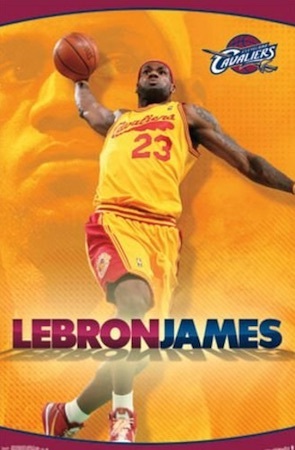 King James is the top player in the league today and already one of the top players in the history of the NBA. Signed gear for LeBron James is very expensive and the majority of items available are issued by Upper Deck because of their exclusive with LBJ. If it is in your price range, a signed photo for James is one of the best gifts possible for a fan or collector of the Cavs. Originally the player that was expected to replace LeBron James when left for Miami, Kyrie Irving has become a star in his own right and with LBJ back in the mix, Irving finally has someone else to shoulder the load. 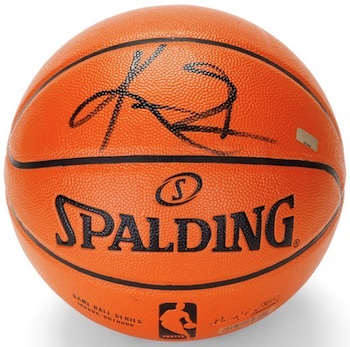 A signed basketball for the All-Star is a terrific gift option. One of the most consistently productive players in the history of the Cavaliers, "Big Z" is a fan favorite even though he was never a star in the league. 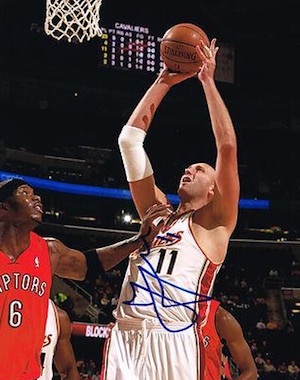 Signed photos for Zydrunas Ilgauskas are a great inexpensive gift option. 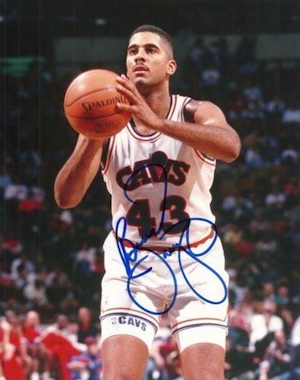 A regular All-Star and the first overall pick in 1986, Brad Daugherty was one of the top Cavaliers in the "pre-LeBron" period. His autographed photos are not in great supply but can be found for budget prices. Arguably the biggest name in the history of the franchise other than LeBron James, Mark Price was an exceptional shooter and facilitator. Like Daugherty, signed photos for Mark price are not terribly easy to find but prices are very reasonable. When LeBron James left Cleveland, the city itself regressed and the team was a shell of its former glory. When he finally came back, the fans were eager to celebrate his return. This framed panoramic image documents that event with a commemorative coin and evocative image. Framed collages offer a great gift option that is kinder on the wallet than the signed pieces. 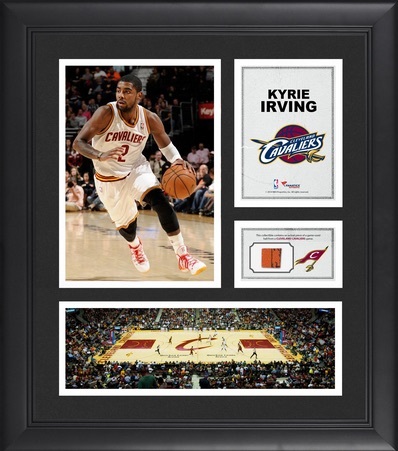 This collage for Kyire Irving includes several images along with a piece of game-used basketball. 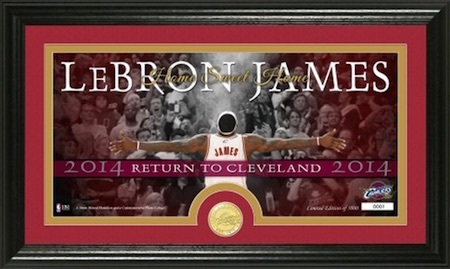 View more collages and plaques for the Cavs here. 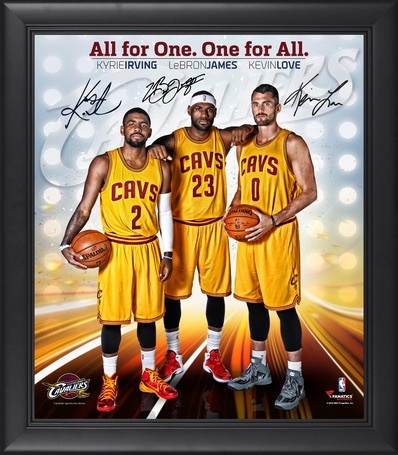 The new "Big 3" in Cleveland includes LeBron James, Kevin Love and Kyrie Irving. All three are featured in this framed image with facsimile signatures for each. This helps keep the price down while still maintaining the quality look. A staple of game rooms and bedrooms everywhere, posters are a great budget gift option. 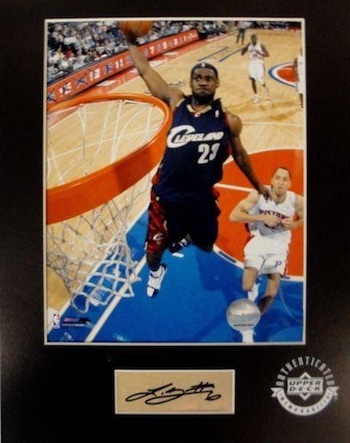 This dynamic pre-dunk image of LeBron James makes for a captivating wall decoration and popular gift for a fan of the team. 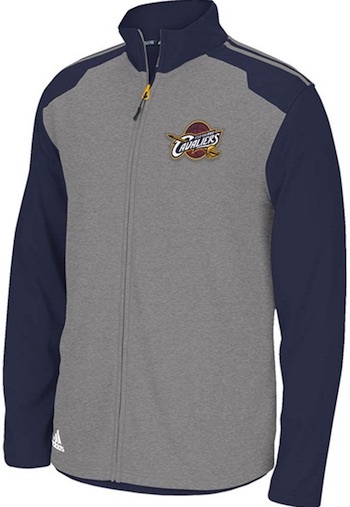 While most gifts are more for display than anything else, a Cavaliers blanket is great in the winter months in addition to the colorful team design. A Cavs blanket offers a fun and useful gift option. 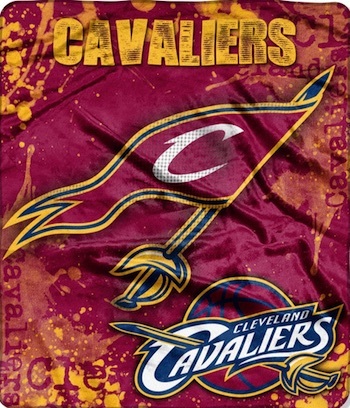 A more traditional way to support the team, a Cavaliers flag can be a simple way for a fan to celebrate their love of the team. If the retro version shown below does not meet your expectations, there are a variety of additional flag options available at the link above. 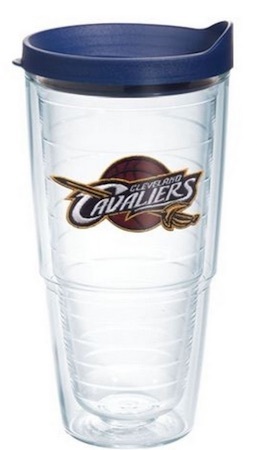 Another very useful Cavs-themed gift, a team tumbler is ideal for a fan on the go. This budget gift can make a nice stocking stuffer. 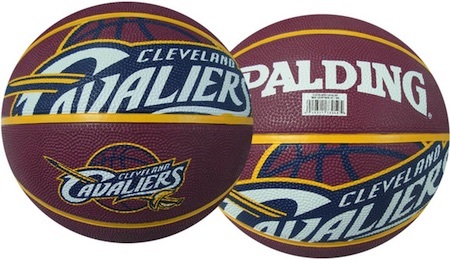 Great for display or on the court, a Cavaliers basketball is an inexpensive way to recognize a team fan with an interactive gift. 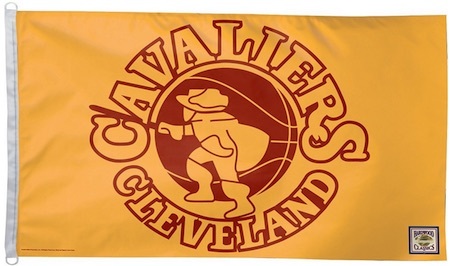 Combine the basketball with the flag and/or tumbler for a Cavs team gift pack. Basketball cards are a popular option for fans, but they are not as simple to buy because they are so specific. 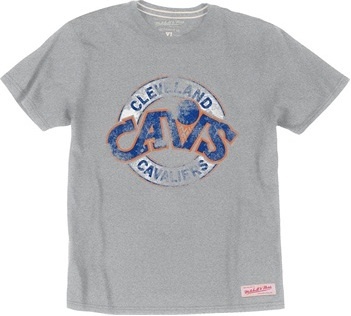 One option we recommend for budget gifts or stocking stuffers is Cleveland Cavaliers team sets. Some are sealed and some are hand-collated, but the result is the same. Make sure to verify the year of the card and the players included to make sure you are getting what you expect. 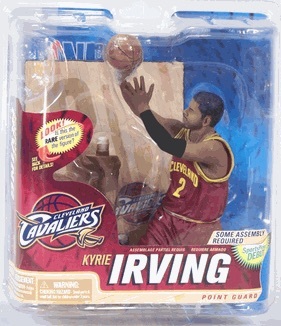 Whether shopping for a child or an adult, Cleveland Cavaliers figures and bobbleheads can be a great gift. Several different brands offer a variety of options and many players can be found from the history of the franchise. Check out specific figures on eBay using the links below. There are a good variety of different Cleveland Cavaliers team Fatheads. In addition to team logo versions, players are some of the top Fatheads and two of the most popular Cavs are noted below. Smartphones are the new norm and can make for an easy and inexpensive gift for a Cleveland Cavaliers fan. Just make sure to verify the exact make and model before you buy. We have included direct links to Amazon below for the most popular phone models. Jerseys remain the most common way for fans to display their love of the Cleveland Cavaliers. Replica versions offer cheaper prices and fans can also have them customized for added appeal. 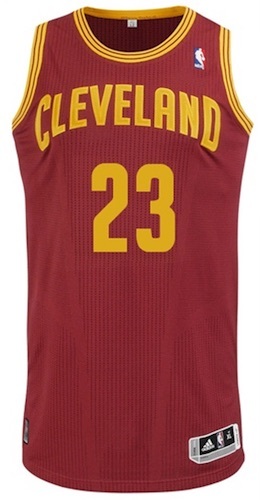 If you are overwhelmed by the many versions, check our detailed NBA jersey guide here.